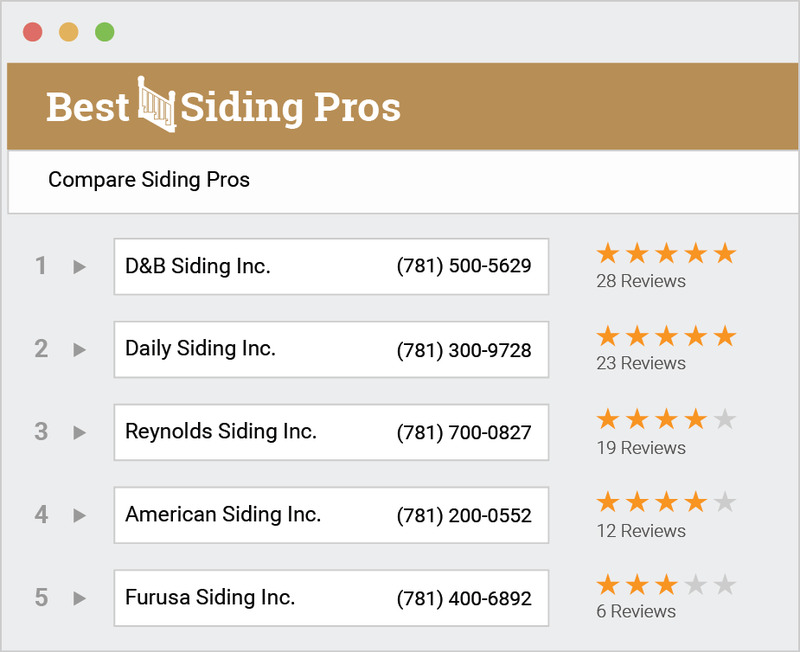 Why use Best Siding Pros? We’ll find you up to 3 Siding pros in less than 24 hours. That means you can compare Siding estimates side by side without having to call multiple pros yourself. Our Siding estimate service is 100% free. We don’t ask for ANY financial information and you can use us as many times as you like. Get the peace of mind knowing that you will have trusted and high quality professionals submitting estimates for . Siding professionals in our network have years of experience. You will be able to read full customer reviews while comparing estimates. Our Siding contractors can tackle all projects, from big to small and provide advice on . We will help make the process easier by finding you the right professionals for your project. Get started by searching your zip code.